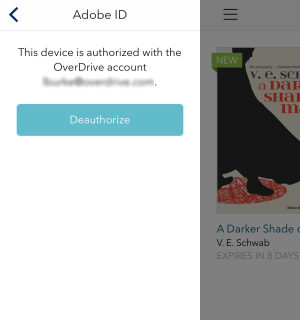 "Authorizing" the OverDrive app allows you to download DRM-protected ebooks. 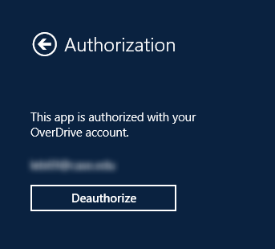 The OverDrive app requires you to sign in when you first open the app, which automatically authorizes it. If you'd like, you can change your authorization (after you sign in) to use an Adobe ID instead. 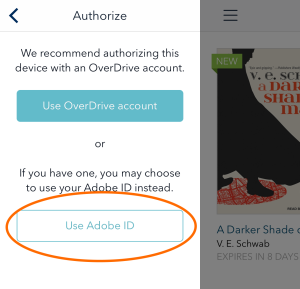 You might want to do this if you've downloaded ebooks to other devices using your Adobe ID and you'd like to download the same ebooks to the OverDrive app. 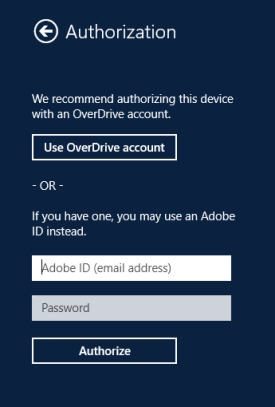 Find steps below to authorize the OverDrive app with an Adobe ID. In the OverDrive app, select the icon in the top-left corner to open the Home menu, then select Settings. 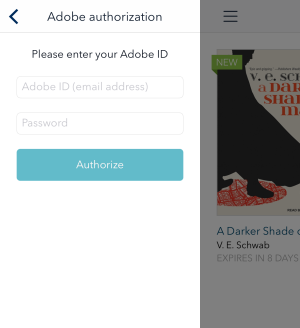 Once the app is deauthorized, select Authorize. 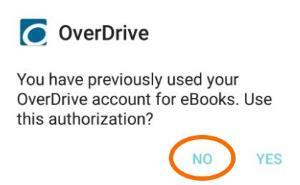 Choose No when asked if you'd like to use your OverDrive account to authorize the app. 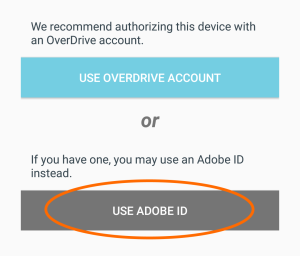 Select Use Adobe ID to authorize the app with your Adobe ID. Enter your Adobe ID credentials, then select Authorize. In the OverDrive app, tap the icon in the top-left corner to open the Home menu, then tap Settings. From there, tap Adobe ID, then Deauthorize. Once the app is deauthorized, tap Authorize. 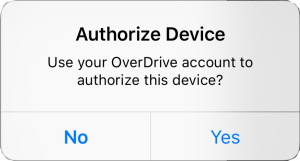 Tap No when asked if you'd like to use your OverDrive account to authorize the app. Tap Use Adobe ID to authorize the app with your Adobe ID. 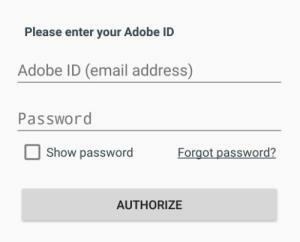 Enter your Adobe ID credentials, then tap Authorize. Open the Settings menu ( ) and select Authorization. From the "Settings" menu, select Authorization. 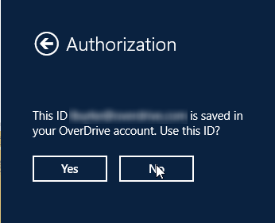 Select No when asked if you'd like to use the ID saved in your OverDrive account.